Back in April I went to the hairdresser to freshen up my hair color. I had long gray hair with some black natural hair nearby the roots. Because of some miscommunication and mistakes that were made by the hairdresser my hair started to fall out and one side of my head had totally broke off. I felt miserable and from that moment on I promised myself and my hair to take good care of it and not to overbleach my hair anymore! My hair was dry and was still breaking off everytime when I combed my hair. I tried everything to make it look healthy again. My favorite hair oil from L’oreal Elvive was running empty and I had to find new hair oil to make my dry and damaged hair look and feel healthy. 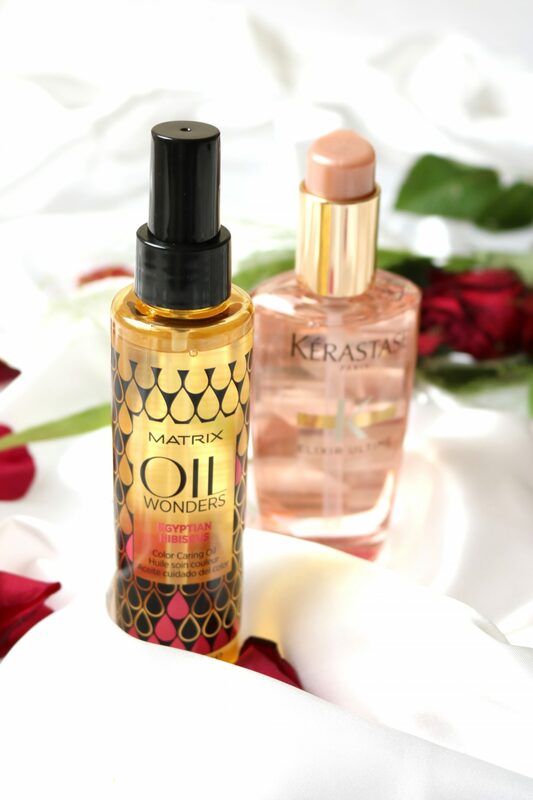 I received the Matrix and Kérastase hair oils, both great names in the hair industry. I will compare them for you to see if they have any comparison, because both brands belong to L’Óreal. Let’s see what they will do for my hair! Kérastase is the crème de la crème of the hairbrands. I’ve seen many people buying their hair care, but I never tried it. I did received a hairmask from their from their purple line, but I still have to finish a few others before I start using this one. When I was in South Korea this summer I was strolling around in a beauty shop. Nearby their mirrors they had their hair department. I immediately walked to their hair oils because the hot and humid weather in South Korea made my hair look frizzy and dry. Kérastase had their own place at their mirror and I quickly (and sneaky) pumped the hair oil in me hands and applied it in my hair. Oh, that moment was magical! 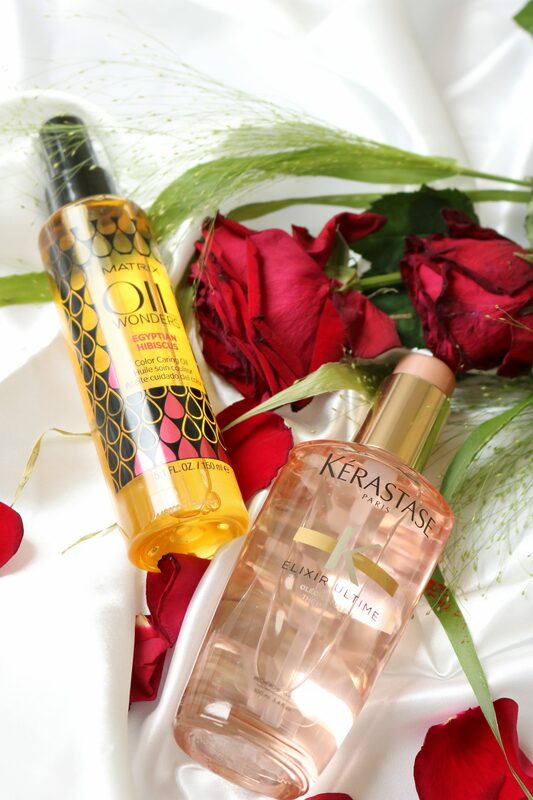 The scent of this oil is delicious and it made my hair instantly smooth! I knew from that moment on that I had to get my hands on this hair oil. Matrix is quite new to me. Around April I received their Re-bond line from L’Óreal because they heard my story about my damaged hair. That was the first time I heard about this brand. The Re-bond line is a 3-step hair shampoo line that helps to repair the hair after a chemical treatment. I was very happy with the products because they really did change the condition of my hair. When I had the opportunity to pick some items from the webshop Notino.nl I knew that their hair oil must be great also. So when I get a new hair oil I look something specific because my hair is so damaged that I need the best care for my hair. I also have a really oily head scalp which can be seen as something positive and negative, but I try to downsize my washing routines and the amount of dry shampoo (because it can cause hair loss). does it protect my hair against the sun? 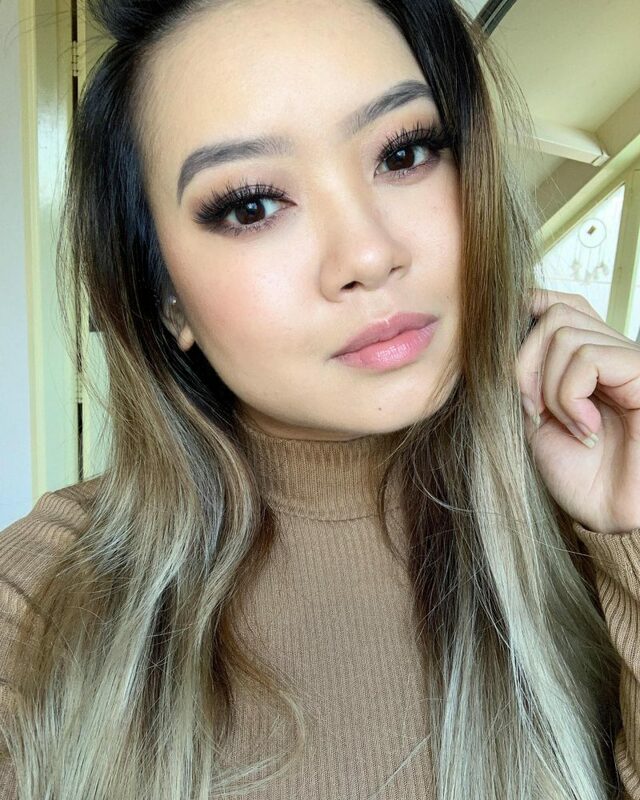 will my hair color stay the same? does it detangle my hair? makes it my hair feel soft but not heavy? I always had long hair so you might can imagine that sometimes my hair get stuck somewhere or that the wind will make it all look messy. A hair oil is a must in my beauty routine everytime when I washed my hair. Without a hair oil my hair looks super dry, feels fragile and it tangles very easily. Here you can see my hair that just have been washed and natural air-dried. I combed it once before I took the picture. Matrix: when I first pumped the product in my hand, this herbal/fresh/mysterious scent escaped when the oil was pouring in my hand. O my gosh this fragrance was amazing, if someone would apply this in their hair you would think it was a perfume instead of a perfume. I do have to say that it is quiet strong, so don’t get overwhelmed by the amazing scent and do pay a little more attention when you are planning to spray some perfume on your hair. I used 2 pumps on this side of my head and it was easy to spread the oil. I did not notice any sticky sensation, because the oil was almost disappearing like fog. 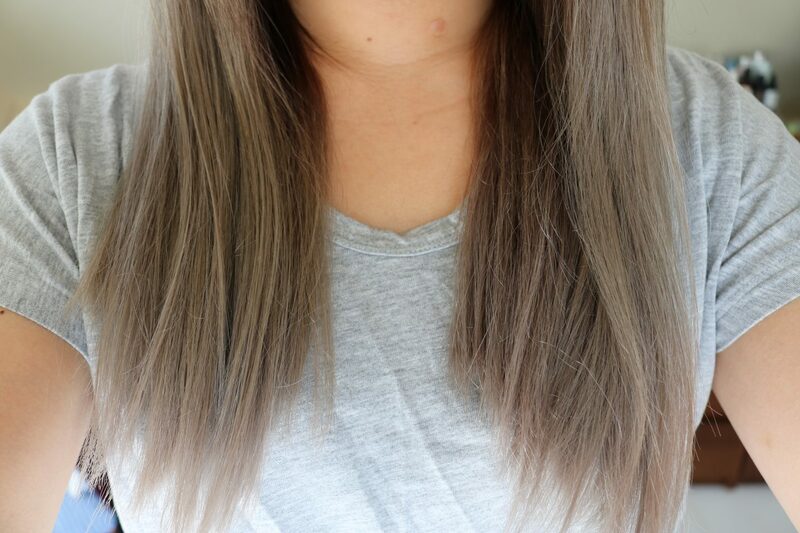 It changed my hair from dry messy hair into silky smooth and shiny looking hair. I wish my hair could look like this all the time. I think that the best thing of this hair oil is the fragrance. The name Egyptian hibiscus really describes the fragrance. It smells like a warm summer day while you are enjoying an herbal tea with flowers on the table. Kérastase: I really had high expectations of this hair oil. Because Kérastase is a big name in the hair industry and a few girls recommended me this hair oil for my damaged hair. Surprisingly the hair oil had a less appealing smell. The fragrance disappears instantly when you apply it on your hair. It has this fresh scent of just washed hair with an expensive shampoo, nothing that feels like a real perfume experience (ofcours depending what you like more, I like to have a nice scent in my hair that lasts all day!). But I do have to say that my hair feels and looks so much better. It almost feels like my hair got more volume and it didn’t feel like an oil when I applied it. My hair looks super clean and doesn’t have any oily strokes. The shine and smoothness in my hair is just better than the Matrix. I’m a sucker when it comes to a great fragrance, but a hair oil has to do its job which is making my super damaged hair look healthy and beautiful again! Before I started to try both oils I was already curious how the Kérastase would be because I only heard amazing things about it (on Instagram and magazines). Matrix was quiet a new brand for me and I think only people who go to the salon often know this brand. 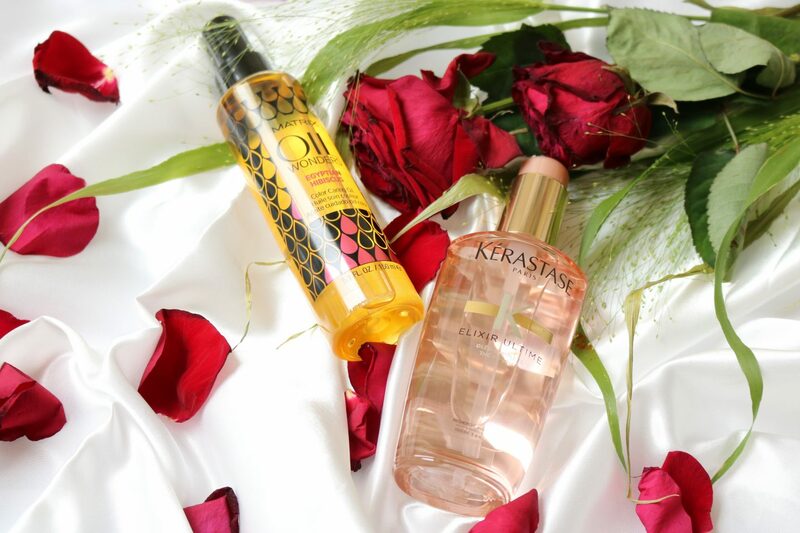 Only one oil can be the best to help my chemical threatened hair from a big hair disaster. 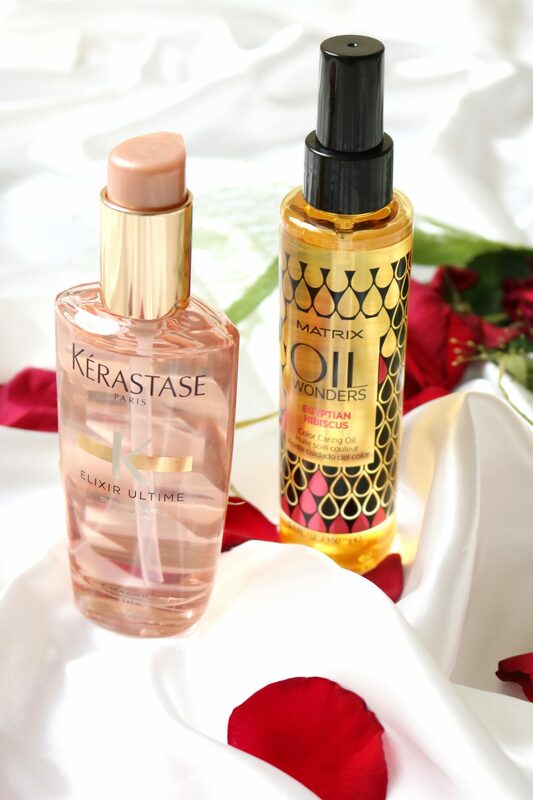 I used many hair oils during my short life, but I can honestly say that one of these two became my Holy Grail hair oil! Why? Because it works as an oil: makes the hair look smooth, healthy and moisture but it looks like I just had a fresh blow-dry appointment at the salon. My hair looks fantastic even tho I spread it with my fingers and WetBrush! 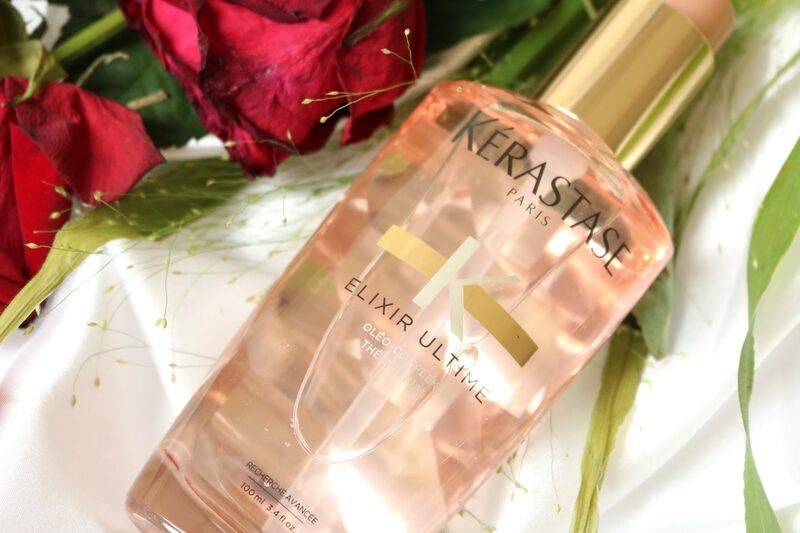 The winner of the best hair oil is the Kérastase Elixir Ultime The Imperial. 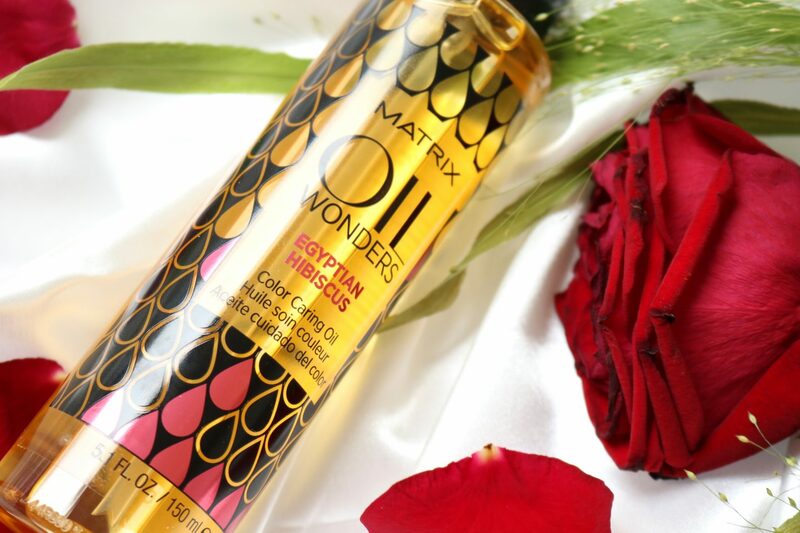 De Matrix Oil Wonders does smell amazing which is fantastic, but at the end of the day it has to do something for my hair. 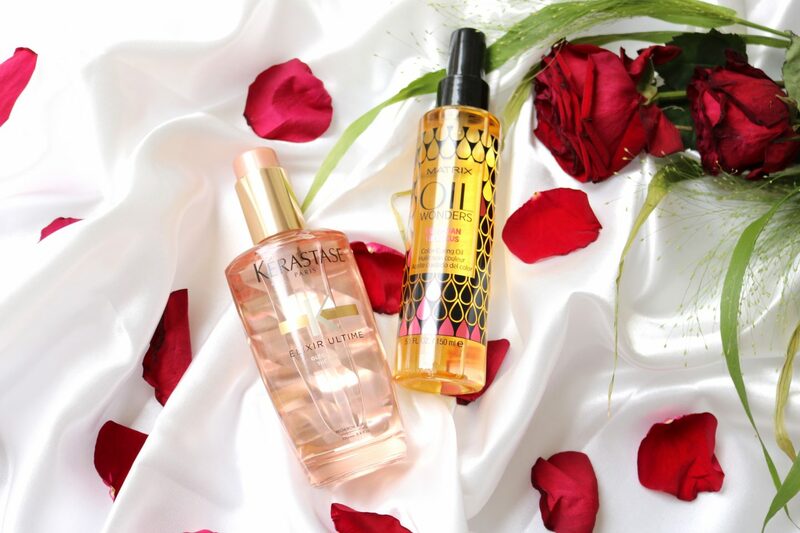 What is your current favorite hair oil? You can get both hair oils on Notino.nl. A happy 15th birthday of Notino! Next Post Jet Lag? Summer Friday’s helps you with this Instagram famous mask! Blogger named An, based in the Netherlands. Has a weakness for beautiful looking cosmetic items. Loves to take flatlay pictures of her beauty items that she post on her Instagram. On her blog you will find anything related to beauty and a glimpse into her personal life.